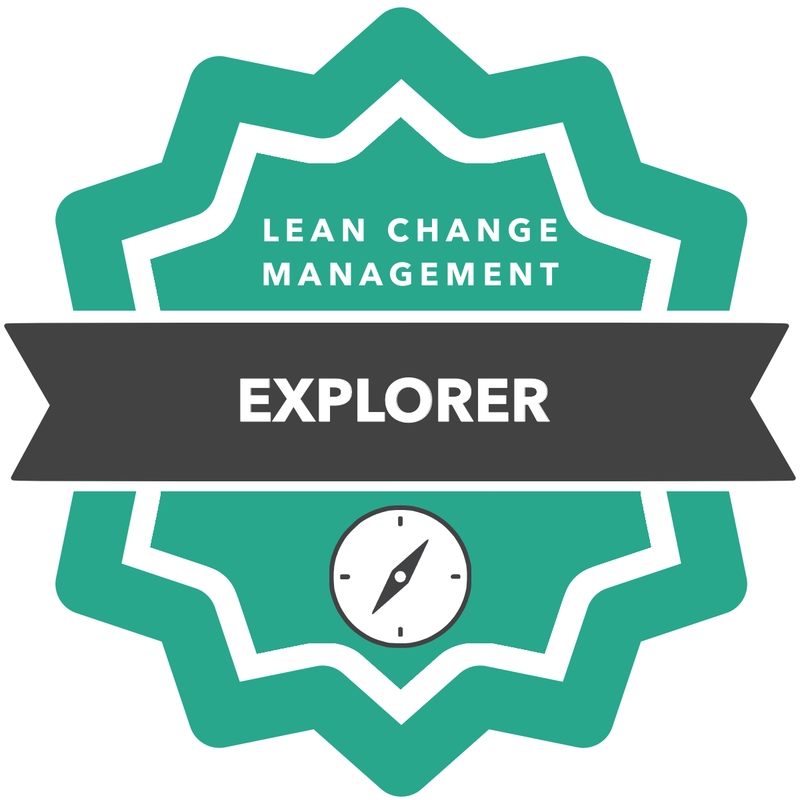 This knowledge-based badge is awarded to people who have attended the in-person, or virtual Lean Change workshops. If you've attended a Lean Change Agent workshop, you would have received a Certificate of Completion. Add the details below along with an image of your certificate and you'll get your Explorer Badge! We'd also like to hear what your takeaway from attending the workshop was. That's optional though! If you don't have a Certificate of Completion, contact us at community@leanchange.org and we'll be happy to help!